Lately I’ve started to wonder about cooking meat sous-vide at higher temperatures. The meat will surely become well done and flaky, but I’m curious whether it is still better than a traditional braise on the stove top and in the oven. There is only one way to find out, and that is to try. The first experiment in this series is pork belly. Usually I cook pork belly sous-vide for 36 to 72 hours at 60ºC/140ºF, but in this case I tried it for 10 hours at 77ºC/170ºF. After that it was briefly crisped under the broiler. The inspiration for the recipe came from a post on Serious Eats. 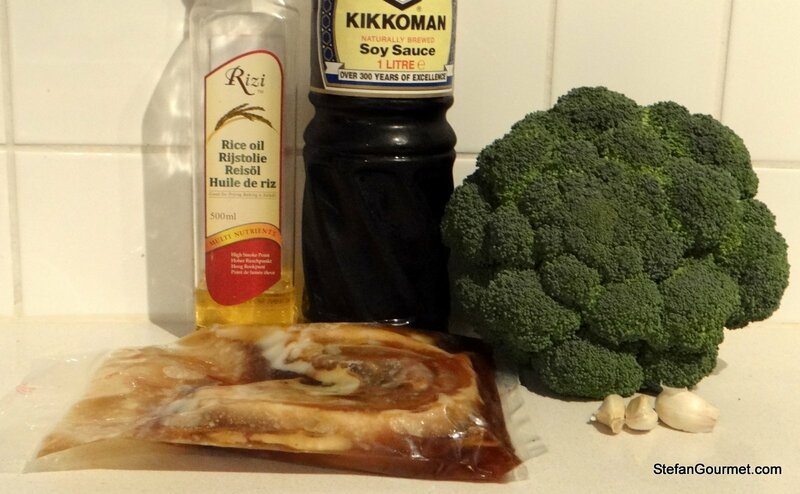 I thought it would be nice with broccoli stir-fried with garlic (inspired by REMCooks.com) and some rice, and that did indeed work well. 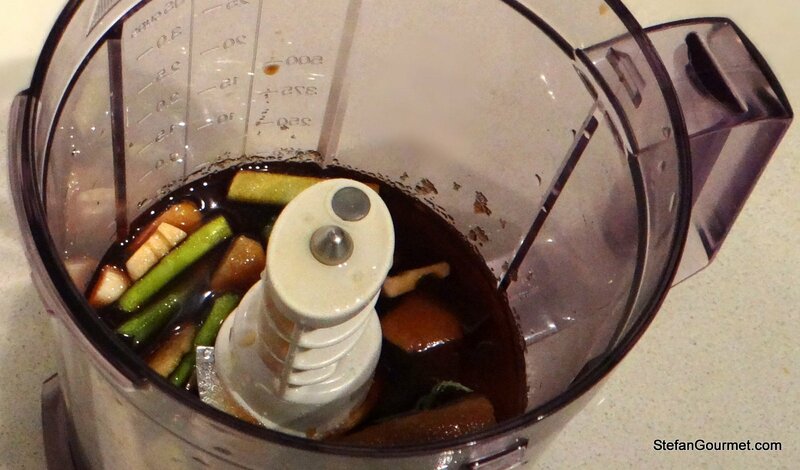 Combine ginger, garlic, green onion, sugar, mirin, soy sauce, and fish sauce in the blender. 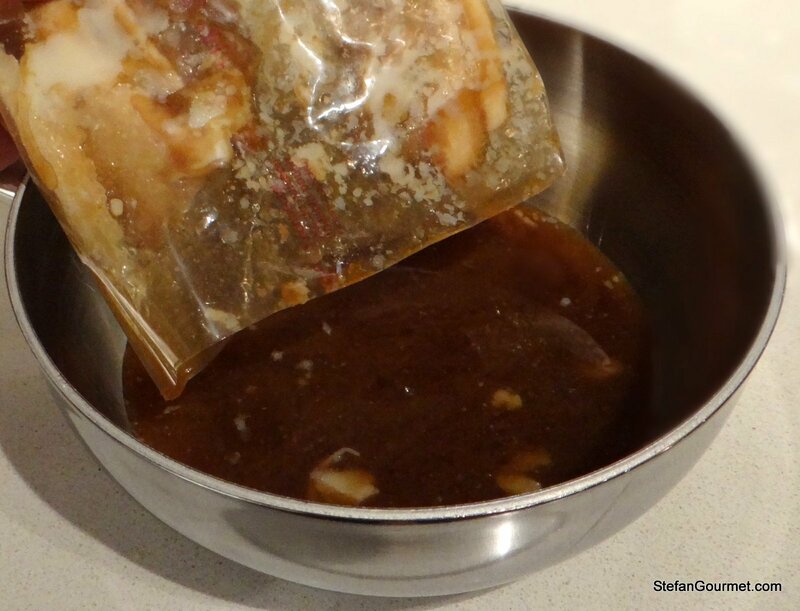 Vacuum seal the pork belly with this mixture. This is easiest in a chamber vacuum sealer, but you can also use a ziploc pouch and the water displacement method. Cook sous-vide for 10 hours 77ºC/170ºF. If you like you can now quickly cool the meat and refrigerate it until use, or go on straight away. Pour the juices from the bag into a saucepan. Bring to a boil and lower the heat to a mere simmer. 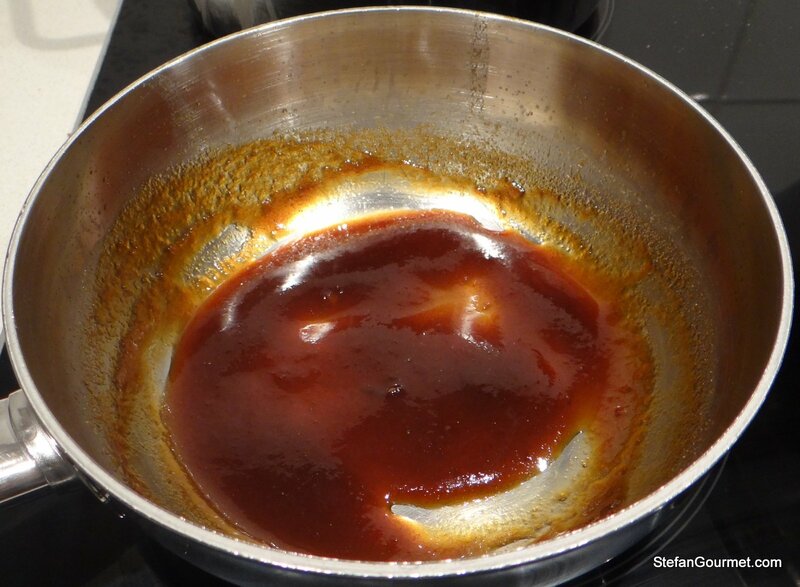 Simmer the sauce until it is thick and syrupy, stirring now and then. Be careful not to allow the sauce to burn. 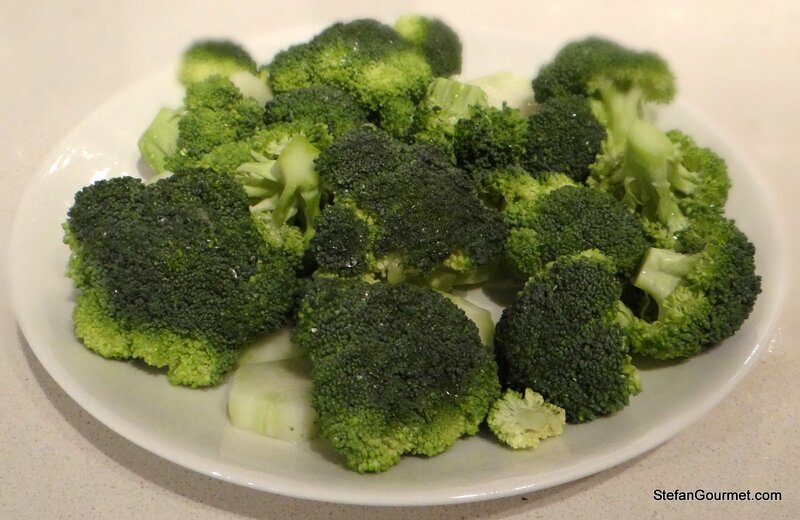 Meanwhile, cook the broccoli in the microwave with a bit of water for a few minutes or steam it until it is barely starting to become tender. 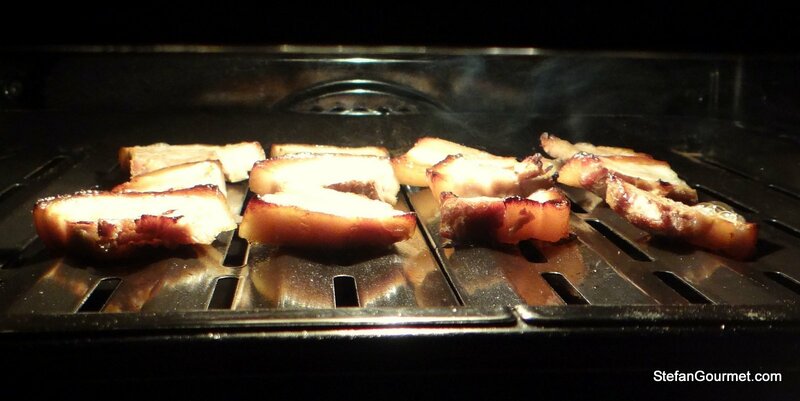 Preheat the broiler and arrange the pork belly on a broiler pan. 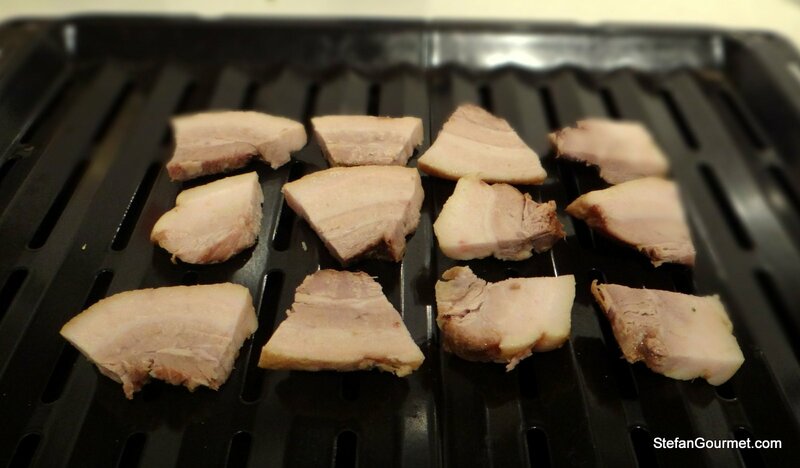 Broil the pork belly until it is nicely browned. 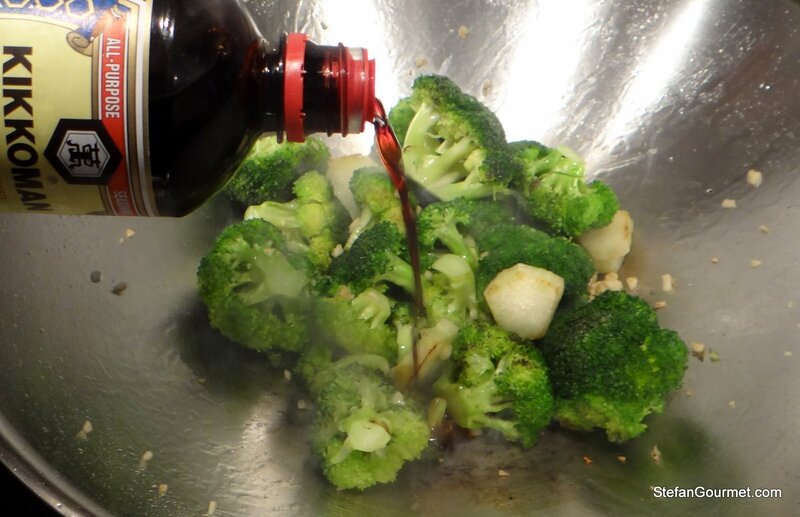 Meanwhile, stir fry the broccoli in the oil. 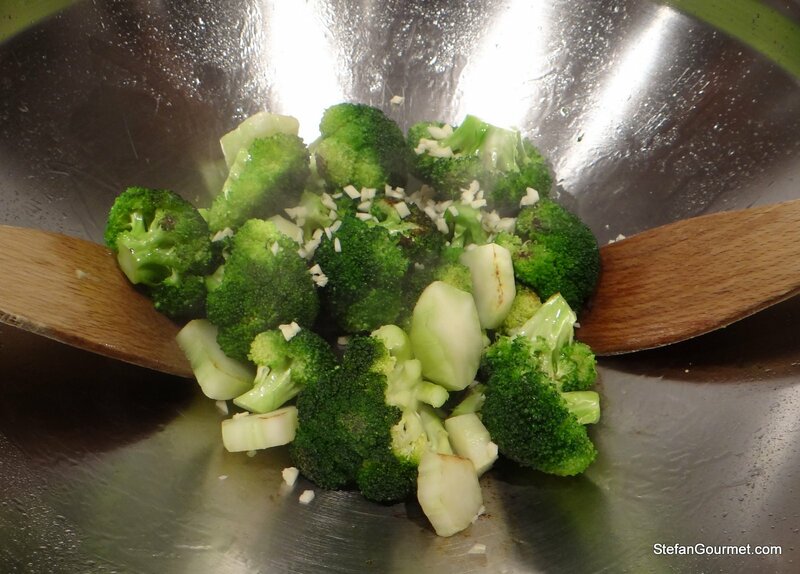 When the broccoli starts to brown, add the garlic and lower the heat. Stir fry a bit longer, being careful not to burn the garlic. 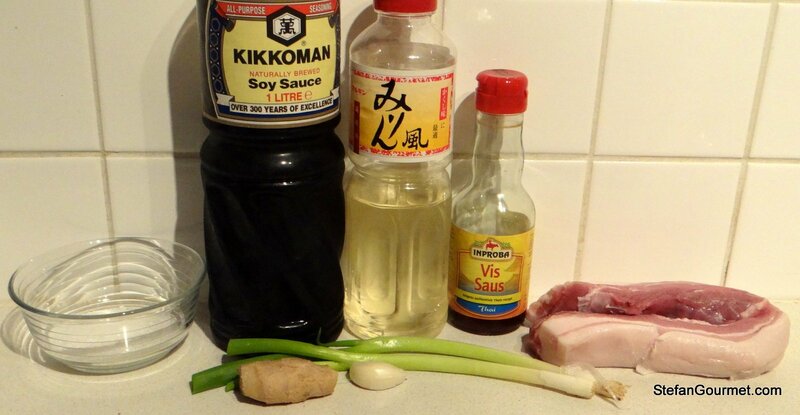 Add the soy sauce and stir fry briefly until incorporated. Turn off the heat. The pork belly should be nice and crispy. 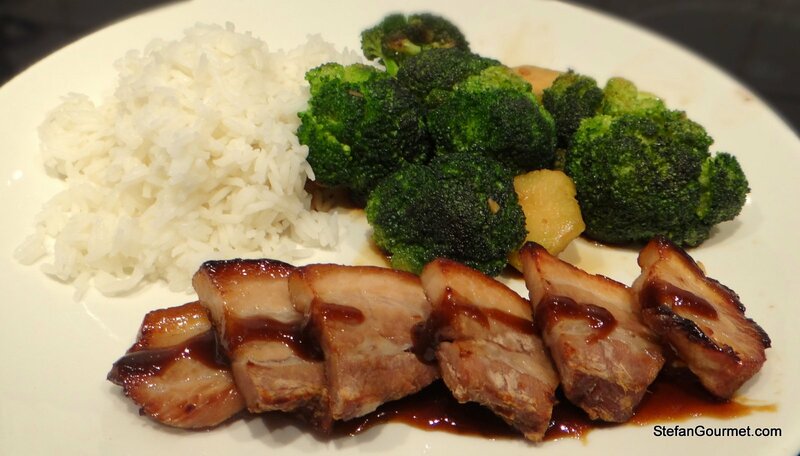 Serve the pork belly with the sauce and garlicky broccoli on warm plates with rice. 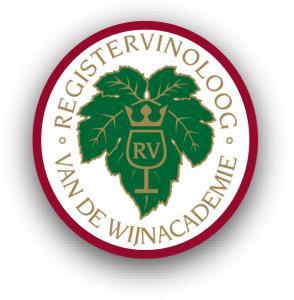 This is great with a gewurztraminer from Alto Adige in Italy or another full-bodied dry but aromatic gewurztraminer. I have a piece of Red Waddle pork belly coming from a local supplier and this looks like the perfect way to cook it, but I’m unclear from your description if you preferred the higher temp, shorter cook time method or if you think the dish would have been better with the lower temp. longer cook time method? Thanks! I think I slightly prefer the lower temp, longer cook time, but both are good. It depends on whether or not you prefer a softer texture of the streaks of fat (high temp = firmer texture, as more fat renders). Hope this helps and I hope you’ll like it! Let me know what happens. Thanks, Francesca. You don’t have to check sous-vide cooking at all. You just “set it and forget it” for those 10 hours. It will always come out perfect. If you like your meat well done (as I would expect from an Italian — no offense), you’d prefer the pork belly cooked at the higher temperature. 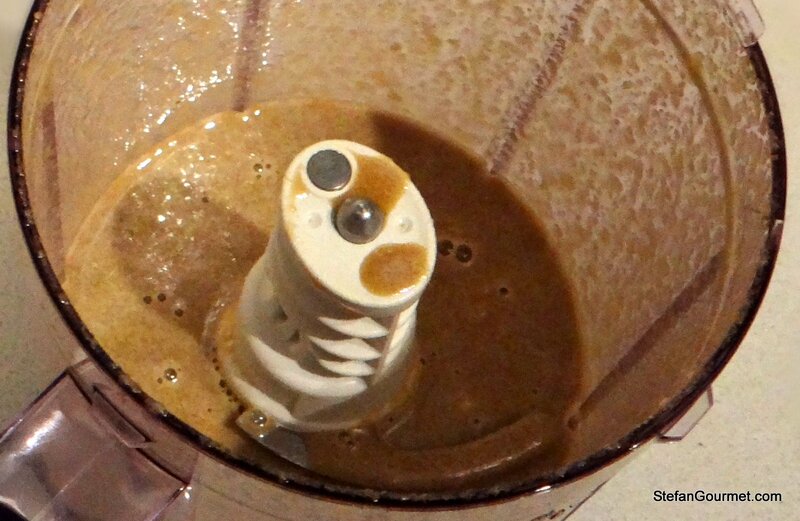 Hi Stefan, great recipe as always! 🙂 Do you sv the pork belly skin-on? Skin off. Glad you like the recipe.